The National Social Investment Office (NSIO) on Wednesday described as misleading, claims that the Federal Government was providing N50 per meal for pupils’ feeding in public primary schools in Kaduna State. “After, the Federal Government through the NSIO took over the funding of Kaduna State School Feeding Programme in August 2017; the cost of feeding per child was increased to N70 per meal. “Consequently, for Monday to Thursday of each school week, N62.50 is paid directly into each cook’s bank account, taking into account the amount of N30 which is paid directly to the Kaduna State Poultry Association for the supply of eggs to all of the cooks as part of the menu selected for Wednesdays. Mrs Maryam Uwais, the Special Adviser to the President on Social Investments,’’ the NSIO said in a statement in Kaduna. Reacting, Uwais said the assertion that the National Home Grown School Feeding Programme had made provision for the N15 as profit on each meal was spurious. She said the profit expected to accrue to the cooks from feeding pupils in classes 1-3 in primary schools derived from the bulk provision for an aggregate number of children assigned to each cook, which figures range from between 70 to 150 pupils per cook. Uwais added that it was also pertinent to state that under the programme’s framework, standards and costing models had been developed for each menu, based on the nutrient targets for each child’s age group. “After the state selects the content of its menu based on the food items that are accessible and affordable in each jurisdiction. “And guided by the basic nutritional requirements prescribed by the Federal Government’s team, coordinated efforts are then made to directly link all the cooks to farmers, thereby availing them of the benefits of farm gate prices. “In other words, concerted and deliberate efforts are made to connect the cooks to the agricultural value chain, to enable them source for fresh and organic food produce from farmers at affordable rates and not necessarily from the open market. “This strategy has had a multiplier effect of stimulating productivity and providing a regular and sustainable income for the farmers,’’ the statement quoted Uwais as saying. According to her, the National Home-Grown School Feeding Programme is currently offering free meals to over 9.3 million public school children in 26 states across Nigeria. The states include Abia, Anambra, Enugu, Ebonyi, Imo, Akwa Ibom, Cross River, Delta, Osun, Oyo, Ondo, Ogun, Benue, Niger, Plateau, Kaduna, Jigawa, Kano, Sokoto, Katsina, Zamfara, Bauchi, Gombe, Borno, Adamawa and Jigawa. The remaining states are expected to engage with the programme within the year, as they are at various stages of compliance. “As we proceed to engage more states on the programme, we request for public diligence and feedback from the states where feeding has commenced, to preempt, address and resolve any unsavoury incidents that have the potential of harming our children. “We appeal to members of the public to call our hotlines – 08088899918, 08084000444 for this purpose, to enable us continually improve on the programme,’’ Uwais added. 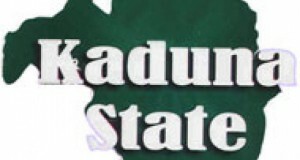 The news Agency of Nigeria (NAN) reports that some food vendors of the Federal Government’s Home Grown School Feeding Programme in Kaura Local Government Area of Kaduna State had on Sunday complained that N35 was grossly inadequate to prepare a quality meal. The vendors told NAN in Kaura that they supplied the food at N50 per plate, with N35 as cost price and N15 profit. The vendors had said that the cost of food items in the market had made it impossible to prepare a plate of rice with beans, fish, vegetables and crayfish with N35.